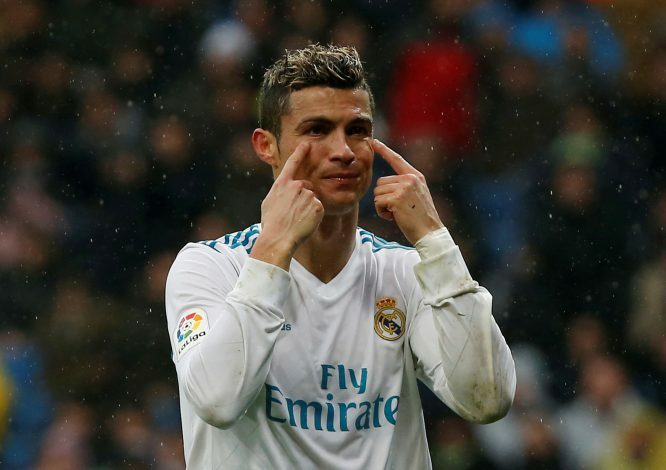 Real Madrid talisman Cristiano Ronaldo was lucky to survive against Paris Saint-Germain in the Parc des Princess during the sides’ second leg in the Champions League Round of 16 tie. The Portugal international was on the scoresheet again, getting his 118th career Champions League goal, as Real won 2-1 on the night and progressed to the last eight with a 5-2 aggregate win Ronaldo’s tally in both legs combined was a whopping three goals. But the scenario could have been completely different, especially with the officials somehow missing the incident wherein CR7 was seen having a go at Alves following an altercation. This took place in the early stages of the first half. The visitors had the ball on the left flank, and Ronaldo received possession in a promising position, but the versatile forward was adjudged to have been offside as the referee blew his whistle. Alves immediately shoved Ronaldo in an attempt to grab the ball and get resume the play, and the Real talisman responded by kicking out at the former Barcelona star. Ronaldo escaped punishment post the incident, as the officials allowed the match to go on. The Portuguese international then went on to score in the 55th minute to give his side the lead. PSG, meanwhile, had Marco Verratti sent off in the 66th minute. A red card for Ronaldo could have had a different impact on the game, but it wasn’t to be. The French leaders have bowed out for the second time in a row against a Spanish team in the knockout stages, as they continue to be distant from the prestigious European trophy.